Riverside Drive and Los Feliz Boulevard. 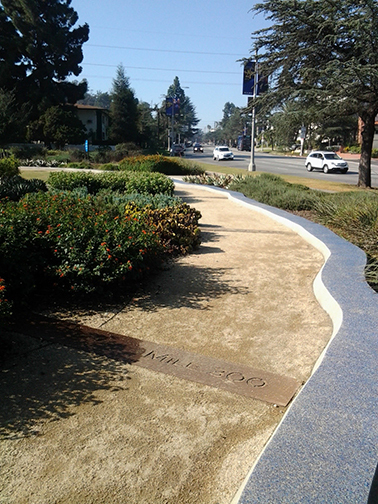 Mulholland park was developed ca. 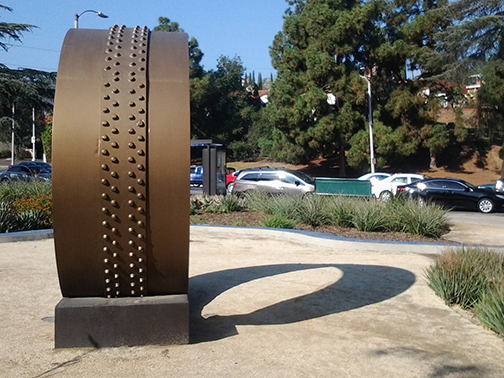 1940 and redesigned in 2013 as the L. A. Aqueduct Centennial Garden. 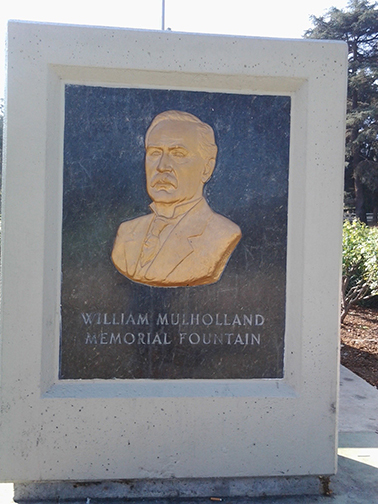 William Mulholland 1855-1935. 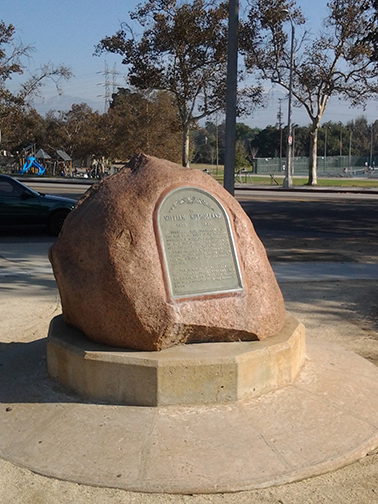 A penniless Irish immigrant boy who rose by the force of his industry, intelligence, integrity and intrepidity to be a sturdy American citizen, a self-educated engineering genius, a whole-hearted humanitarian, the father of the city’s water system, and the builder of the Los Angeles aqueduct: This memorial is gratefully dedicated by those who are the recipients of his unselfish bounty and the beneficiaries of his prophetic vision. The landscaping for the 2013 reimagining of the park was designed by Pamela Burton and Company Landscape Architect. 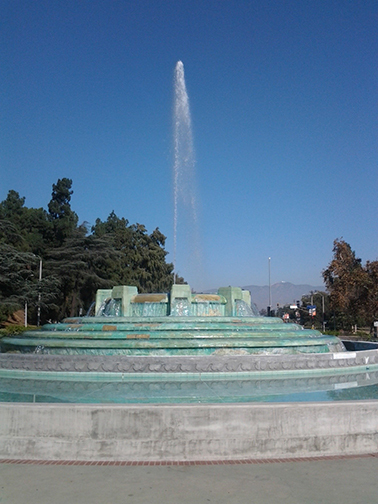 It traces the 340 miles of the Los Angeles aqueduct. 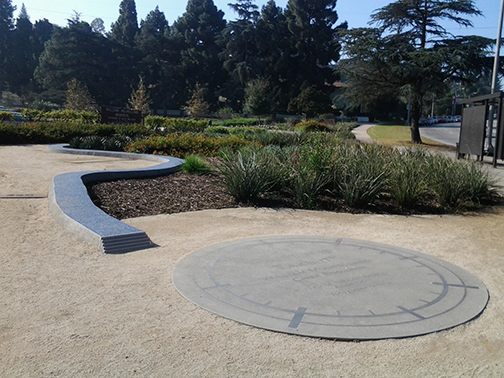 A stainless steel compass medallion commemorates Mulholland's opening day address on November 5, 1913: "There it is, take it!"